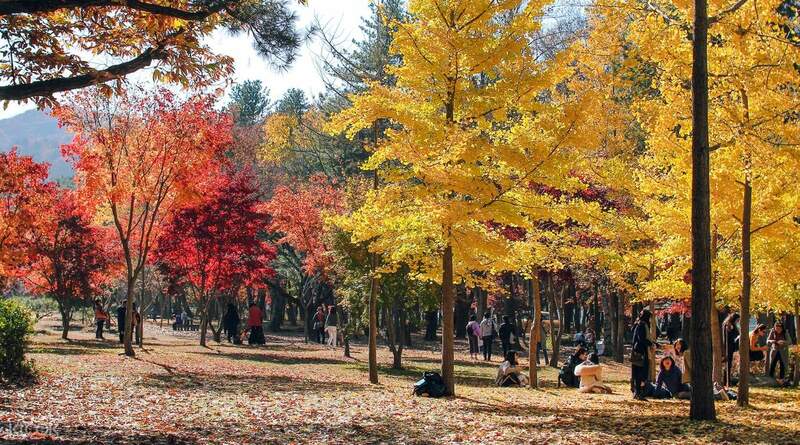 Get free one-time access to all Nami Island attractions with the Nami Island ALL PASS! Best way to enjoy Nami Island is to avail of this pass. Highly recommended! Nami Island, South Korea's top destination located in the quaint southwest of Chuncheon, is a powerhouse of lyrical landscapes, solemn forests of redwoods, ginkgos, and pines, as well as serving home to roaming animals such as deers, ostriches, and other large aquatic birds freely permeating the charming oasis. The island is also a popular host to South Korea's brimming art scene, with frequent exhibits showcasing local creativity and photography. The Nami Island ALL PASS lets you in on a treat as you get to experience all of these in just one day! 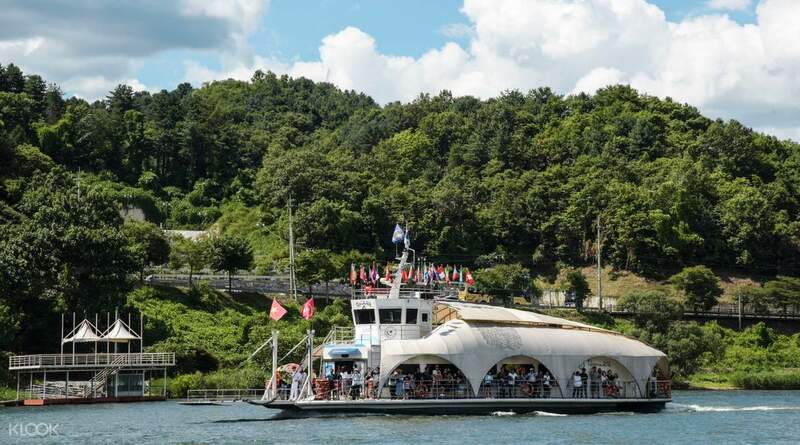 Visit essential Nami Island attractions for the full South Korean experience designed for your ease of travel and flexibility. The touristy park boasts an impressive streamline of thrill-seeking and laidback activities such as the Zip Wire, Bike Center, Forest Adventure Treego, and the UNICEF Charity Train & Story Tour Bus, all offering the best spots in the island that will resonate with you for a long time. There is plenty of Winter Sonata kitsch that can be found on this side of paradise and purchasing your very own tourist pass is the most efficient way for you to see the best sights in Nami Island. 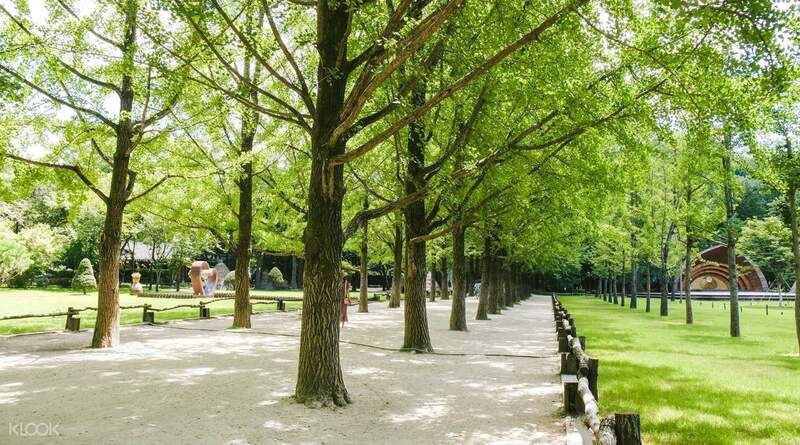 Book your very own Nami Island ALL PASS today and enjoy all attractions in just one day! It’s was slight expensive but the package made us went around the island for almost everything. The Electric Tri Way was fun! The island was small so went around in it for 30 minutes. It was just enough time. We only managed to stop one or two times for photos. 🤣 Unless you want to try all these activities included in the package, we won’t recommend to anyone who just simply want to walk around and taking photos most of the time. It’s was slight expensive but the package made us went around the island for almost everything. The Electric Tri Way was fun! The island was small so went around in it for 30 minutes. It was just enough time. We only managed to stop one or two times for photos. 🤣 Unless you want to try all these activities included in the package, we won’t recommend to anyone who just simply want to walk around and taking photos most of the time. First time here in Korea and this is the first place we visit. It's a great experience for us. First time here in Korea and this is the first place we visit. It's a great experience for us. first time in nami island. was a pleasant experience. i went just after winter and it was a bit cold but the bike rentals are worth it. first time in nami island. was a pleasant experience. i went just after winter and it was a bit cold but the bike rentals are worth it. We had a good experience in Nami island! Make sure to utilize this fully since it includes a lot of activities you can do in Nami island. Using the bicycle is the best way to explore around Nami island. We had a good experience in Nami island! Make sure to utilize this fully since it includes a lot of activities you can do in Nami island. Using the bicycle is the best way to explore around Nami island. Nami island is great to go with whoever !! There are lots of activities to do such as cycling etc . The food there are also nice and quite affordable . The place is very beautiful and i would sure want to visit it again !!! Nami island is great to go with whoever !! There are lots of activities to do such as cycling etc . The food there are also nice and quite affordable . The place is very beautiful and i would sure want to visit it again !!! A wonderful place. 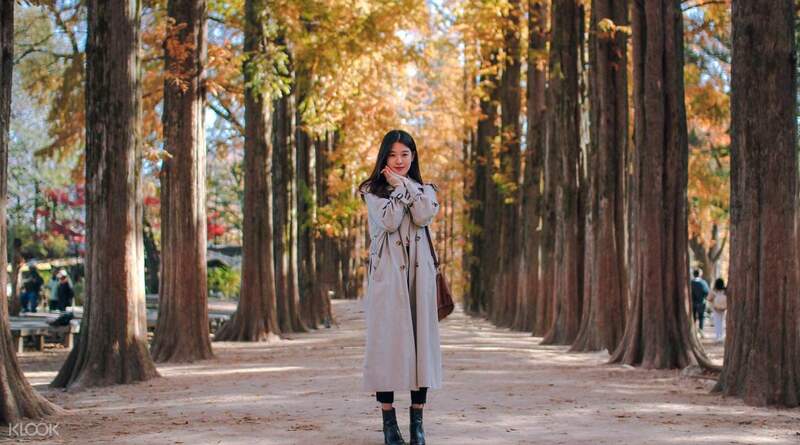 The place of Winter Sonata Korea Drama. Unforgettable! A wonderful place. The place of Winter Sonata Korea Drama. Unforgettable! Very convenient way to claim the purchased ticket/voucher. Next time we will visit Nami Island earlier to explore more and have coffee at the Swing Cafe. Very convenient way to claim the purchased ticket/voucher. Next time we will visit Nami Island earlier to explore more and have coffee at the Swing Cafe. Best way to enjoy Nami Island is to avail of this pass. Highly recommended! Best way to enjoy Nami Island is to avail of this pass. Highly recommended!